With so many ways to use Great Value Vegetable Oil is a great item to have in your home. The light flavor and higher smoke point makes vegetable oil good for baking, grilling and sauting. 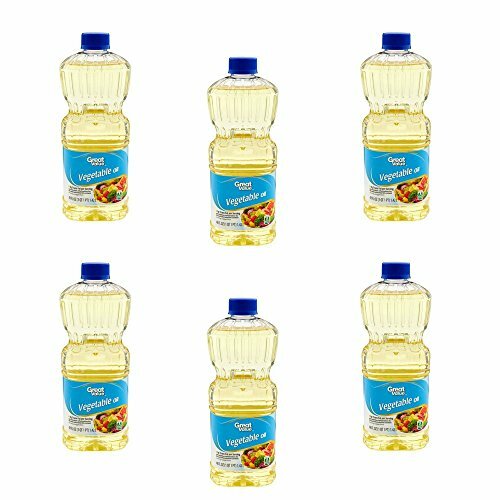 The bottle of Great Value Vegetable oil has an easy to open top that comes with a handle making it stress-free to carry. This oil can be used for a variety of things from making a stir-fry or baking a cake for a special occasion to drizzling on top of homemade salad. Great Value Vegetable Oil is a great essential to have in your kitchen.